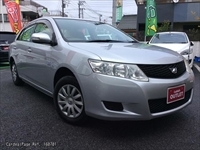 TOYOTA ALLION: Which Version Do You Like for Used Car? 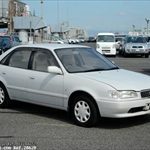 The TOYOTA ALLION went on sale in December 2001 as the successor to the TOYOTA CARINA and TOYOTA CORONA. 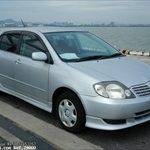 Its chassis was the same as that of the TOYOTA CORONA PREMIO, which was introduced at the same time as the ALLION. 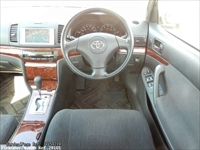 During an era when the minivan was increasing in popularity while the sale of sedans in general was in decline, the ALLION utilized elements of the minivan, such as high usability, varied seat arrangements, riding comfort secured by a spacious interior, and a large trunk space. In addition to being able to separate and fold down the rear seats, the cushions themselves could be pulled up, thereby securing a large trunk space that measured up to 1,700mm in length. Sharply shaped headlights that slanted up at the corners were distinctive features of this model, and when compared with the PREMIO, the exterior design was more youthful. In this way, elements of the design were carried over from the CARINA. As for the interior, for certain grades, self-luminous meters were used, thereby making for a more quality interior design and appearance. Moreover, for decorative panels, a piano black color was used. The body size measured in length, width, and height at 4,550mm, 1,695mm, and 1,470mm respectively, making it a 5 number body size vehicle. The engine lineup consisted of all gasoline engines-1,496cc with 109 horsepower, 1,794cc with 132 horsepower, and 1,998cc with 152 horsepower. 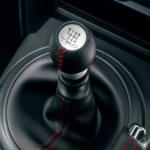 The transmission that could be combined with these were as follows: for the 1,496cc with 109 horsepower and the 1,794cc with 132 horsepower, the 5-speed and 4-speed automatic transmission was made available; for the 1,998cc with 152 horsepower, only the CVT was made available. In general, the drive system was the FF; for the 1.8 grade that carried a 1,794cc engine with 132 horsepower, the 4WD was also made available. In December 2004, minor changes were made to the interior and exterior. The change in design to the exterior revolved around the headlights, grille, front bumper, and other front areas, leading to a heightened air of novelty. In terms of the interior, in addition to the black upholstery that had been used up to this point, brighter colors were made available to expand color options. Moreover, a multi-information display that showed information in text was set up in the meter panel, thereby improving usability and ease of confirming information. Furthermore, improvements were made on the engines installed. The 1.8 grade FF vehicles were able to achieve “2005 Gas Emission Standards 75% Reduction Levels.” As such, in addition to the already achieved “2010 Fuel Consumption Standards,” they were able to apply to “green” (eco-friendly) tax measures. 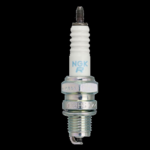 Moreover, the 2.0 grade vehicles were also able to achieve “2005 Gas Emission Standards 50% Reduction Levels,” thus leading to improved environmental performance. 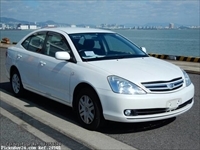 In June 2007, the ALLION evolved to its current second generation model. The body size barely changed from the first generation model, remaining a 5 number body vehicle and measuring in length, width, and height at 4,565mm, 1,695mm, and 1,475mm respectively; however, the interior length was expanded by 80mm and the width by 55mm, further improving riding comfort. Furthermore, reclining functions were installed on rear seats, improving passenger riding comfort. Back monitors, smart entry & start systems, and HDD navigation systems were also newly installed. As for the exterior, from the distinctive slanted headlights of the previous generation model's design, changes were made to develop a front area that was more horizontal and wide. Moreover, the new design gave the impression of thickness in the side panels, roofline, and to the trunk, leading to a more powerful and luxurious presence. 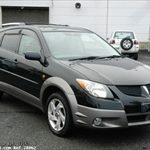 As for the transmission, all vehicles were equipped with CVT, and for the 1.5 and 1.8 grades, the 4WD was also made available. 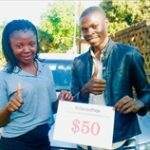 In October 2009, for vehicles carrying the 1,496cc engine with 110 horsepower, changes were made to the engine, transmission, and alternator, leading to enhanced fuel efficiency. As a result, fuel consumption was improved by 0.6km/L to measure 18.6km/L. For other grades as well, improved fuel efficiency was achieved; fuel consumption measured at 17.0km/L for the 1.8 Series FF vehicles, 14.4km/L for the 4WD, and 15.6km/L for the 2.0 Series FF vehicles. In April 2010, minor changes were made to the interior and exterior. For the outer design, changes revolved around the front grille, as well as the headlights and bumper. Moreover, for the 1.8 Series, a 1,797cc engine with 133 horsepower, equipped with a new generation valve gear, the “Valvematic,” was introduced, leading to enhanced power output. 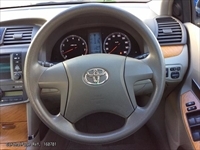 As a result, fuel efficiency was also enhanced to adhere to “2010 Fuel Consumption Standards +20% Achieving Vehicle.” Due to these improvements, all vehicles were subject to 50% tax reduction. In June 2010, the transmissions and the 1,496cc engine with 110 horsepower were reevaluated, leading to certification as a “2010 Fuel Consumption Standards +25% Achieving Vehicle,” and the model being applicable to 75% tax reductions. Fuel consumption improved to 20.0km/L. 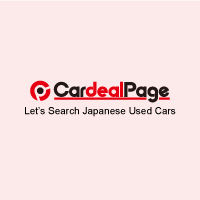 TOYOTA PASSO: Which Version Do You Like for Used Car? 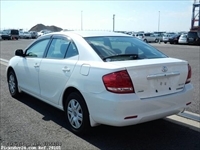 TOYOTA VOLTZ: Which Version Do You Like for Used Car? 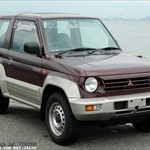 MITSUBISHI PAJERO JR: Which Version Do You Like for Used Car? NISSAN TERRANO REGULUS: Which Version Do You Like for Used Car? 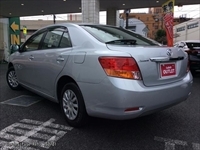 TOYOTA MARK 2: Which Version Do You Like for Used Car?